*Please read about our Gift Registry below (Kindly Scroll Down). 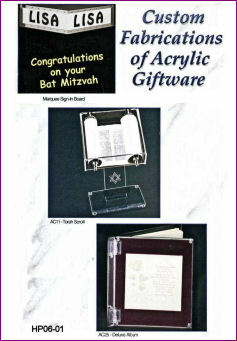 MazalTovPages.com offers a gift registry for our huge Judaica Gift Store. 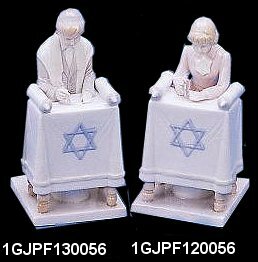 Person(s) planning a simcha (special occasion) like to setup a registry with MazalTovPages.com, where they choose from a vast amount of Gifts available on our Online Judaica Gift Store. By referring friends and family to our site, where the registry has been setup in the person(s) name(s), it makes it possible for the registrant(s) friends and family to buy gifts, no matter how far away they live for the upcoming Simcha. 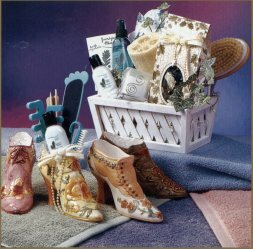 The selection of a Gift Registry should be done early in the party planning process (at least two months in advance). This provides you with the opportunity of preplanning items for your new home and guarantees that you'll be receiving truly welcomed gifts from your friends and family. The Gift Registry will serve as a helpful guide for selecting gifts for your engagement parties, showers, weddings, bar/bat mitzvahs, baby naming, etc... The proper etiquette for informing your guests about your selected registry is to request your bridesmaids, mothers, relatives and close friends to spread the word. Sometimes it can be noted on shower and/or engagement invitations or announcements. 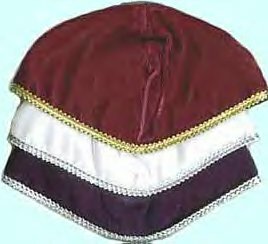 MazalTovPages.com (Mazal Tov means Good Luck in Hebrew) is online one-stop Judaica Store & Party Planning guide and directory geared to help users search, find and access products and services quickly and easily, when planning a wedding, party or a special occasion. Through our partnerships with leading merchants and our useful resources, we make your affair preparations easier and less time consuming, eliminating the "headaches", worries and hassles which are associated with finding products, services and information, allowing you to concentrate on the upcoming event, burden free. We have a huge line of gifts for a Wedding, Anniversary, Bar/Bat Mitzvah, New Baby, New Home, etc... (You can even use our gift registry to create your own personal wish list to keep track of all the Judaica items that you're interested in purchasing from our Online Judaica Gift Store). 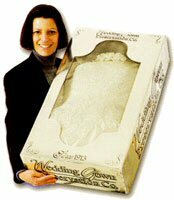 Please use our GIFT REGISTRY FORM to register for any special events including Weddings, Anniversaries, Bar/Bat Mitzvahs, New Baby, New Home, etc.... The registry works as follows. The person(s) setting up the registry visit our site, choose the items to include in the registry, then by filling out our GIFT REGISTRY FORM, they provide us with some basic profile information (in order to allow us to set up a personal registry page for them) and submit the GIFT REGISTRY FORM to us. Once your form has been submitted you will get a message saying: "Thank you. Your form has been submitted successfully." Now, letting people know that you've registered with MazalTovPages.com Gift Registry is very important! As soon as the GIFT REGISTRY FORM is submitted, friends and family of the registrant(s) can visit MazalTovPages.com & contact us in order to access the specific registry and buy items off of it. 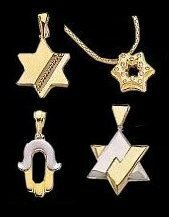 We'll keep your form on file and create a purchase log for your registry, so that your friends and family can select and purchase from gifts that you had chosen as the ones that you would like from our Online Judaica Gift Store. Friends and family can access your registry by contacting us via E-mail: info@MazalTovPages.com, Tel: (954) 894-8775 or Fax: (954) 416-6684. WE WILL FAX OR E-MAIL A COPY OF YOUR GIFT REGISTRY TO YOUR FRIENDS OR FAMILY UPON REQUEST, SO THAT THEY CAN PURCHASE THE ITEMS OFF YOUR GIFT REGISTRY WISH LIST AND SEE WHICH ITEMS ARE STILL AVAILABLE FOR PURCHASE. ***Purchasing Items from Registry: When purchasing items for person(s) that have setup a Gift Registry with us, please provide us with the registrant(s) name(s) whom you are purchasing the gift(s) for, upon your check-out, so that we can keep that person(s)' Gift Registry list up to date with items that are still available for purchase. **Gift Wrapping option is available for your purchase on the order form and can be found during the check-out process. We are constantly updating our database of vendors, suppliers, services, etc. So, please check back often. When opening your gifts, make sure to keep the card with the gift. Also, keep a log of all gifts received (with a description such as brand name in case of duplicates), the name and address of the giver, and the date received. Make a column for the date you mail a thank-you note too. This will help you keep everything organized and ensure that you don't forget to thank anyone for a gift. congratulate people all day long. Mazal Tov on your Simcha (Special Occasion)! Click here, if you would like to add a simcha listing to our Simcha Announcement Board. Please call us if you have any questions. We will gladly assist you. 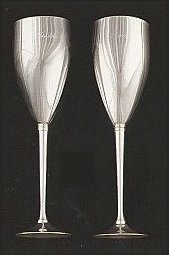 ** Click here for Helpful Hints & Great Ideas to help you plan the perfect Wedding Day or Party. Please feel free to call & check the availability of unlisted items, designs or styles. *We imprint invitations, kippot & party napkins, please contact us for details. If you found an item on our site that you have seen cheaper somewhere else, contact us and let us know. Please provide us with the business name, web address and item # and we will do our best to either match or beat that price.